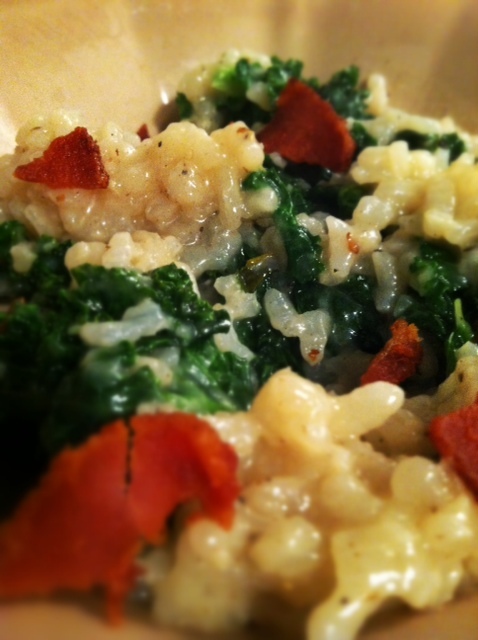 Risotto with Kale and Bacon and the 80’s. 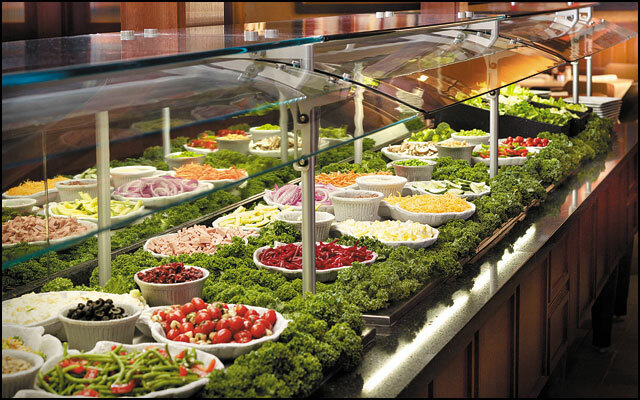 Wasn’t kale on the plate as a garnish or surrounding/covering the ice on the salad bar offerings in the 80’s and 90’s? I wonder what took us so long to realize how awesome kale is! I mean, someone discovered Paula Abdul and Debbie Gibson, but we had to go 30+ years without kale!! 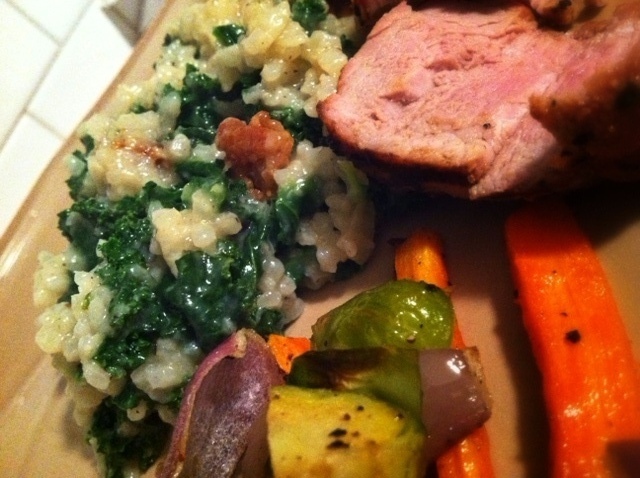 Plus this recipe has bacon and bacon makes everything bettah. 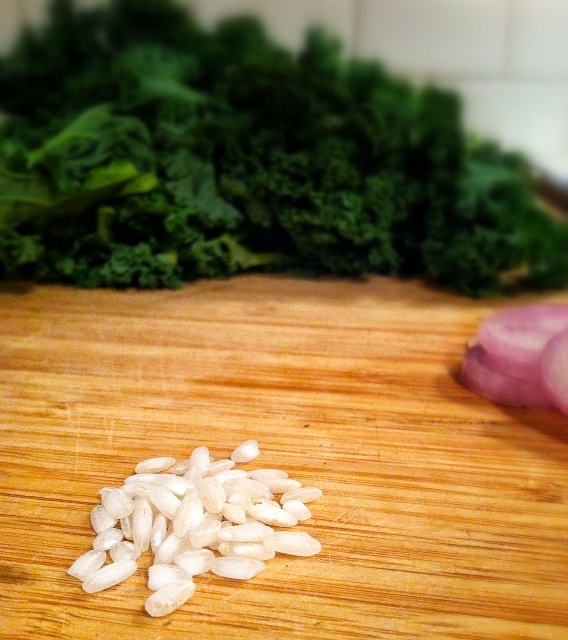 Arborio is an Italian short grain rice. It is high in starch, which is what makes it creamy and chewy. So you add the rice and stir, then bake. 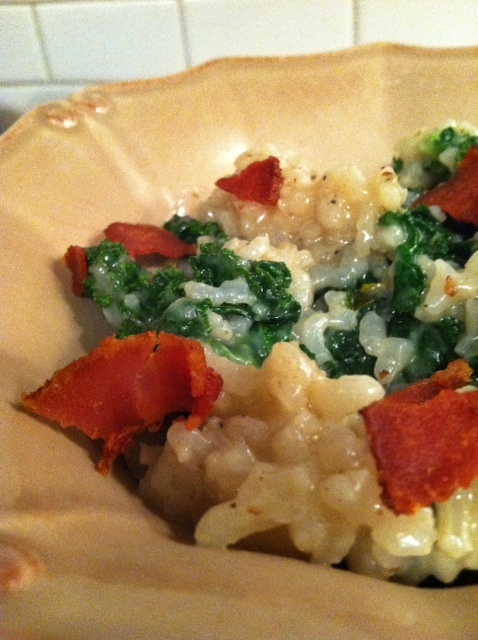 In a large heavy saucepan or dutch oven, cook the bacon over medium-high heat until crisp, 8 to 10 minutes. Remove bacon and drain on a paper towel. 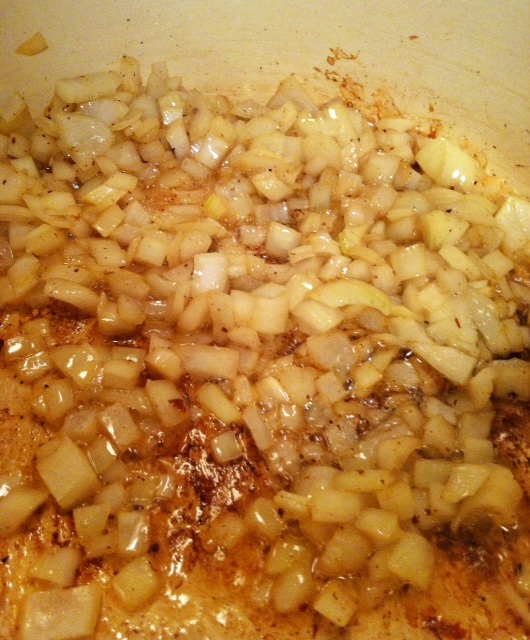 Add the onions, salt and pepper to the pan. 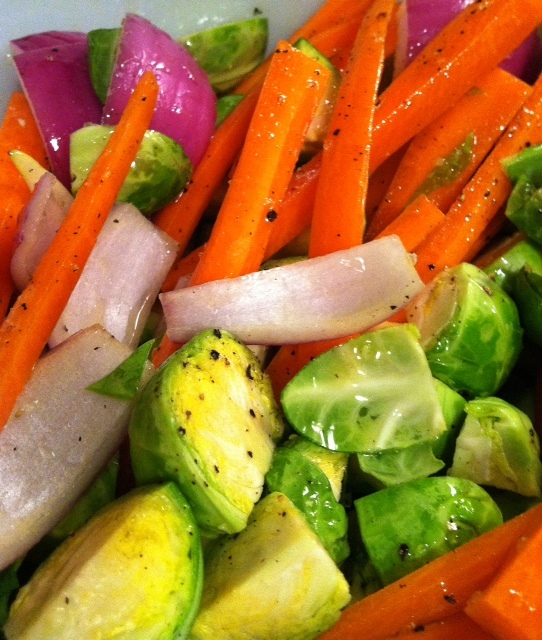 Reduce the heat to medium-low and cook until tender, about 5 minutes. Add the rice and the shallot and stir for 2 minutes. Add 3 cups of the broth and the lemon juice. Increase the heat and bring the mixture to a boil, stirring occasionally. Cover with a tight lid and bake in the oven for 20 to 25 minutes. Remove the pan from the oven and return it to the stove over medium-low heat. 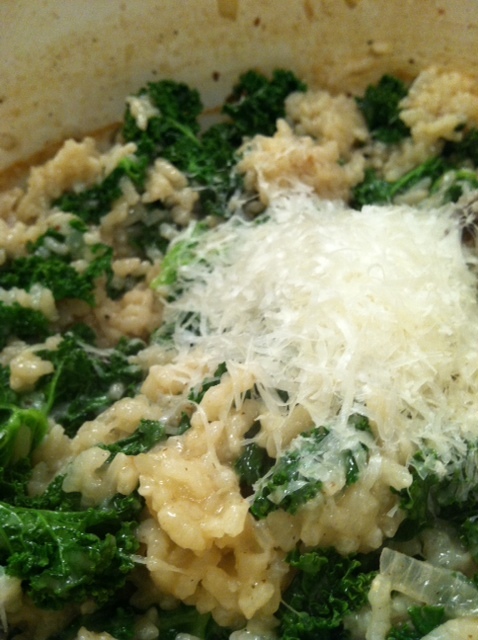 Remove the lid and stir in the kale and 1/4 cup chicken broth. 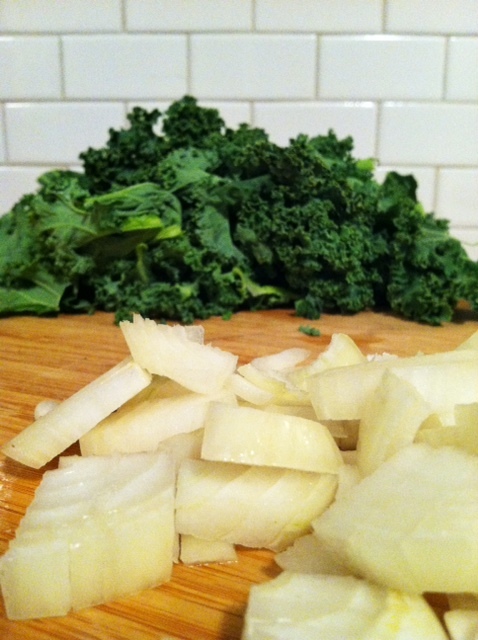 Stir until the kale is wilted, about 5 minutes, adding extra broth, as needed.